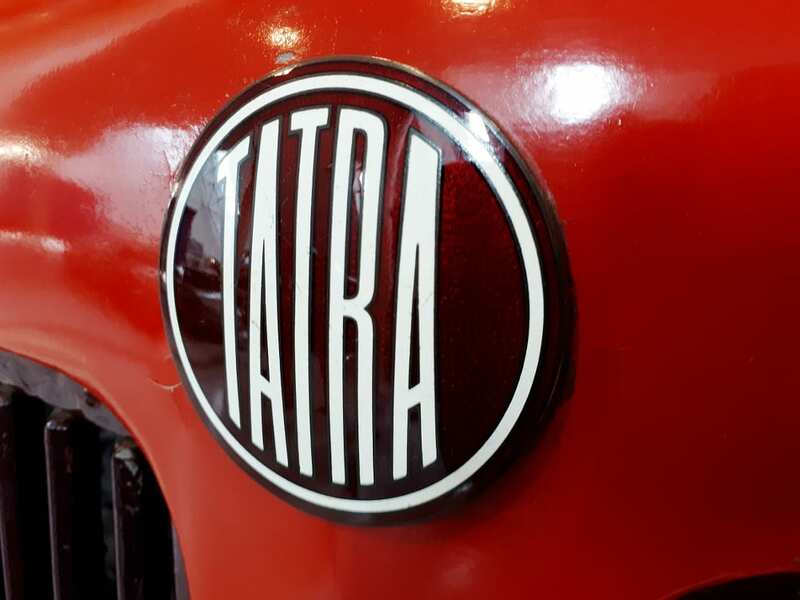 On the English language car web, Tatra has gained a lot of attention and respect in recent years. 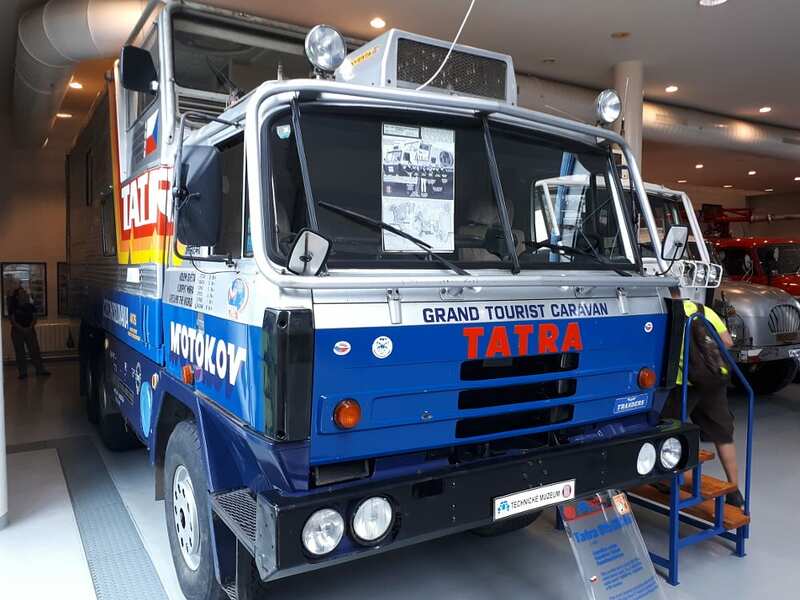 From enthusiastic comments at Bring-A-Trailer to this now famous video of a Tatra 603 being raced through the Czechoslovakian mountains, there has been a fair bit of attention towards this historically important company. 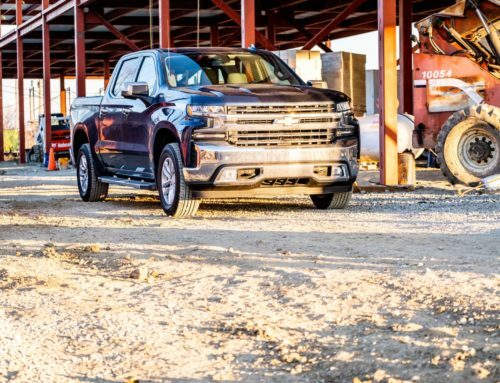 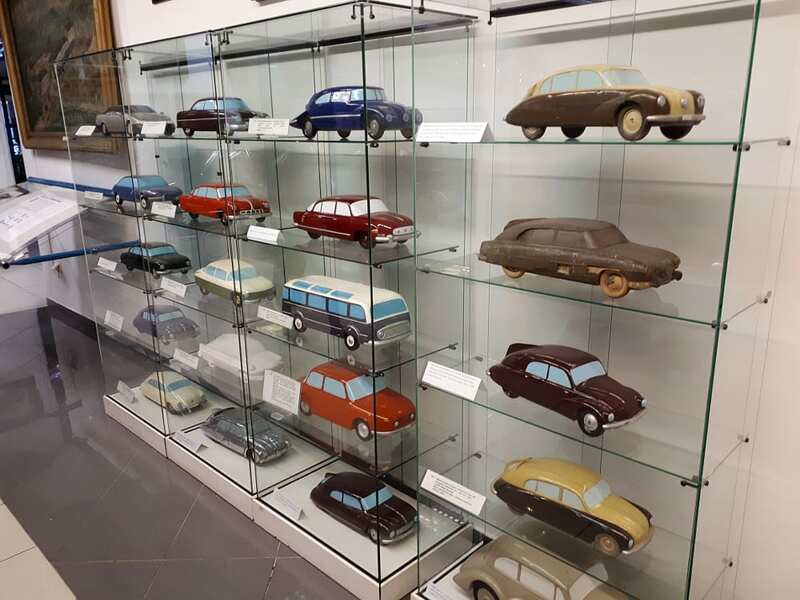 From basically designing the VW Beetle, to a tendency to build impressive rear-engined racing beauties, and the allure of being a luxury carmaker from the decidedly non-luxury Soviet sphere all come together here. 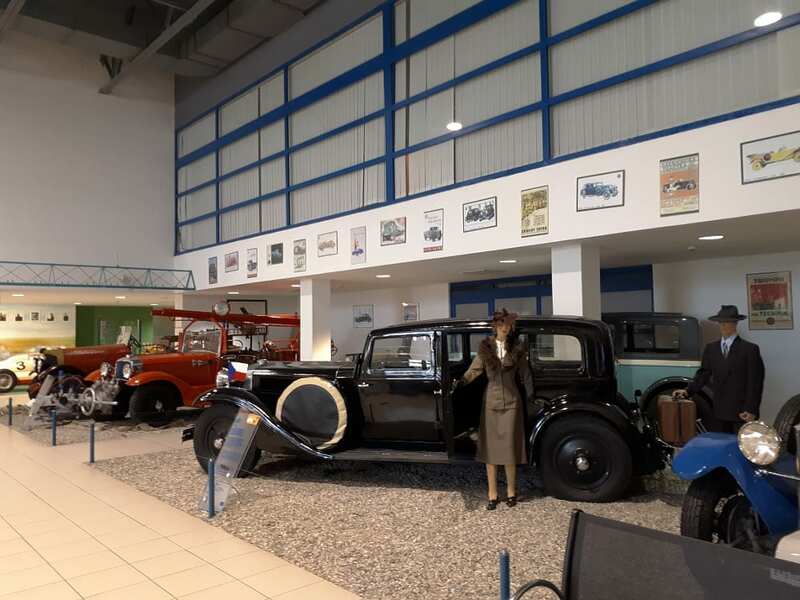 Tucked away in the Southeastern corner of the Czech Republic, a stone’s throw from Sigmund Freud’s birthplace, you will find the town of Kopřivnice. 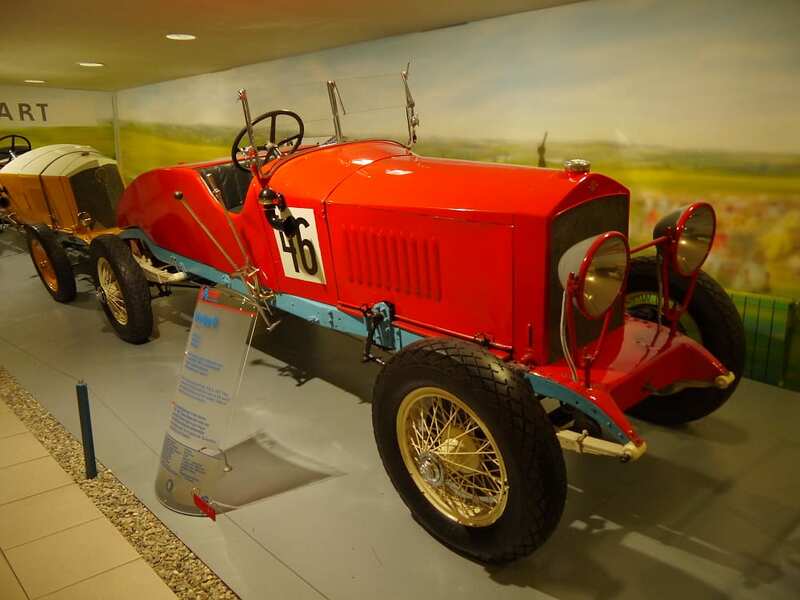 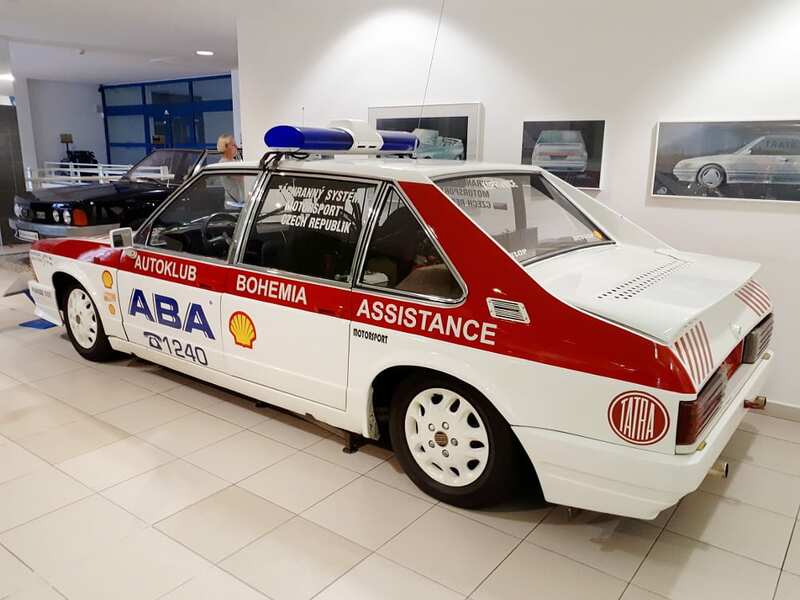 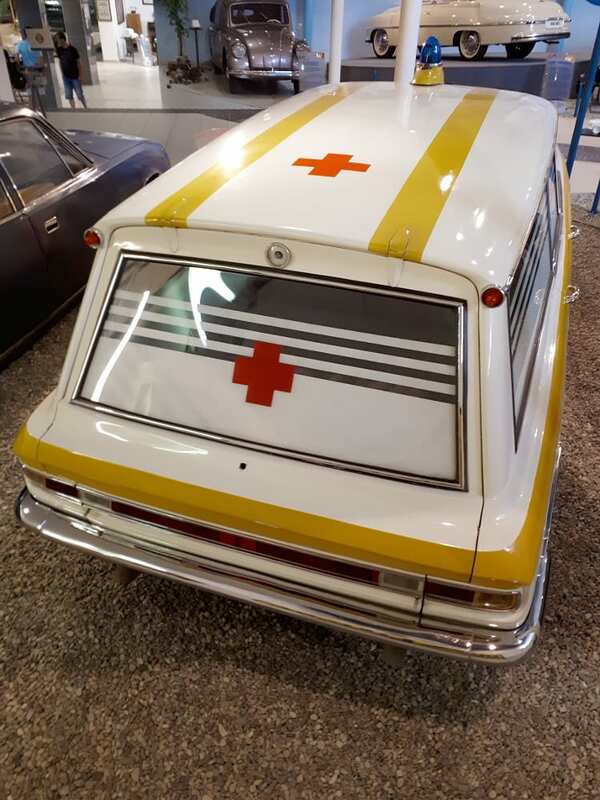 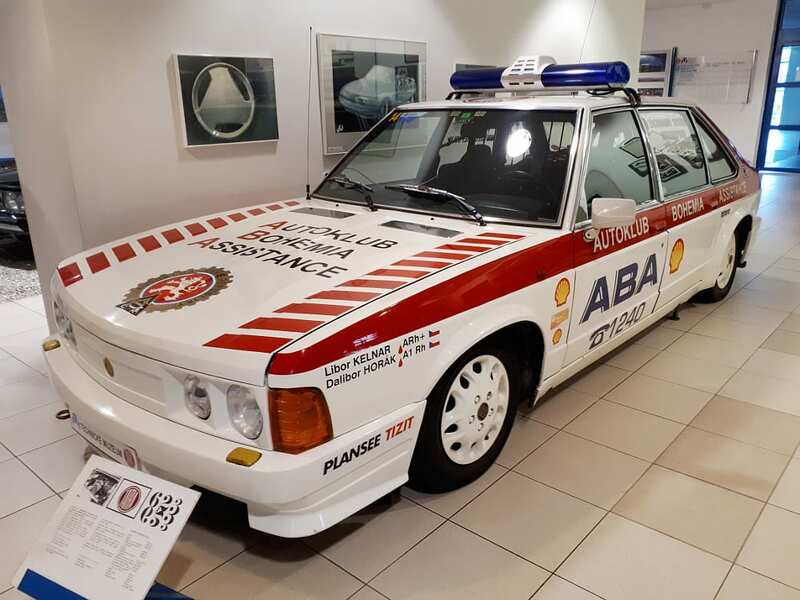 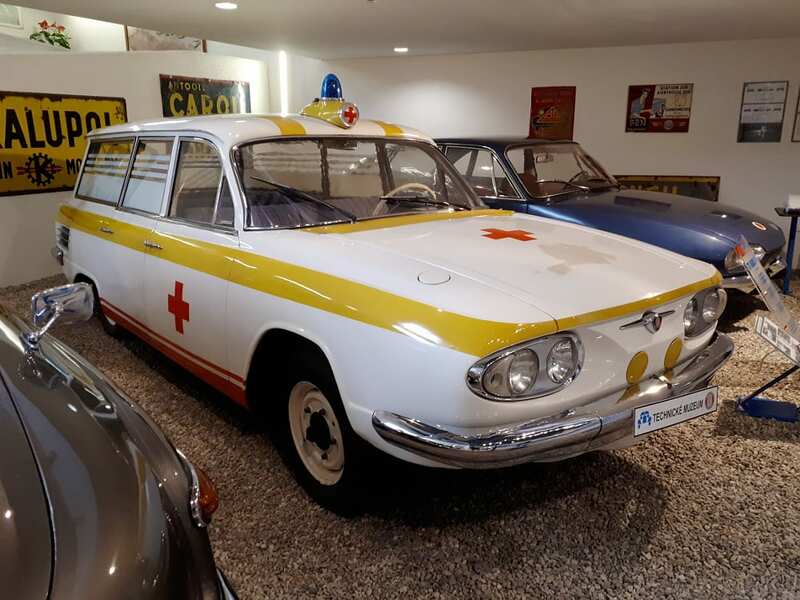 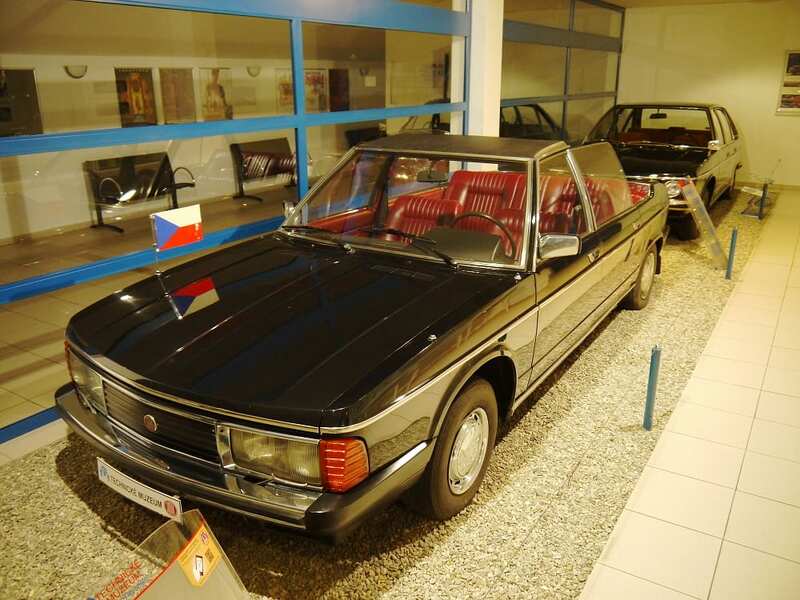 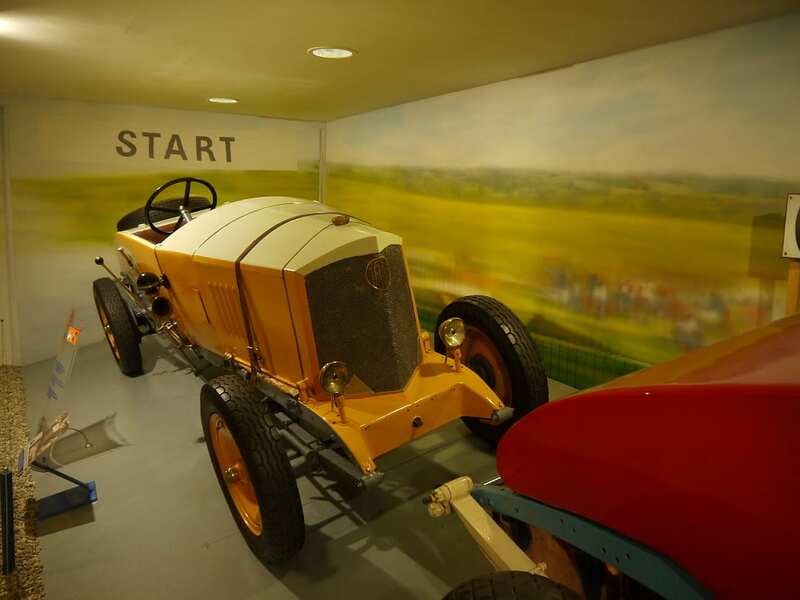 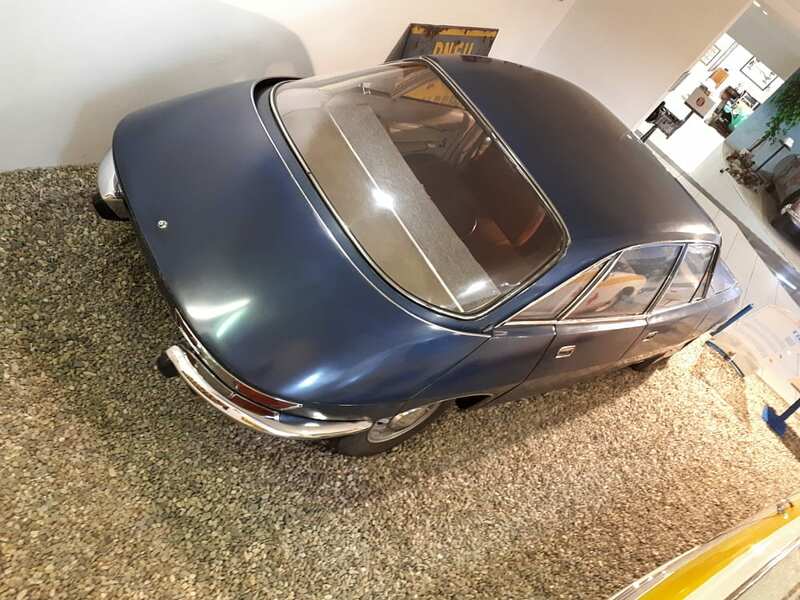 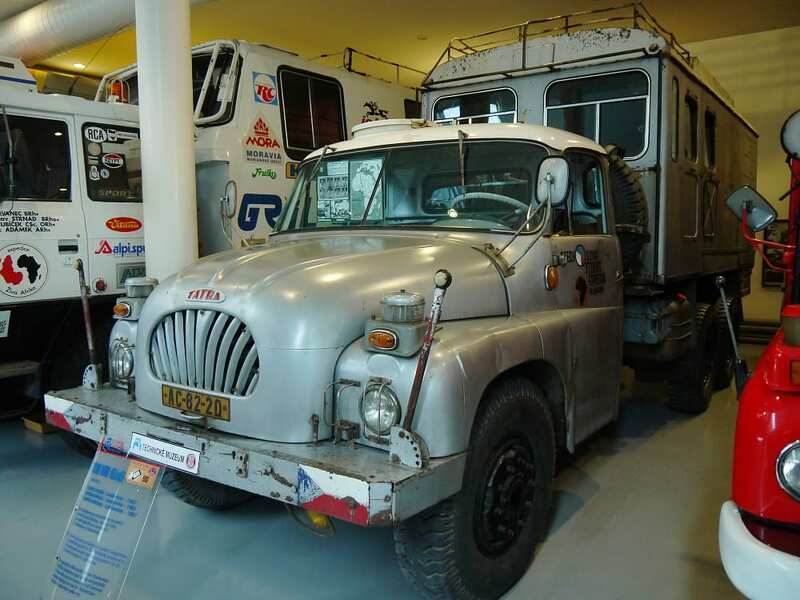 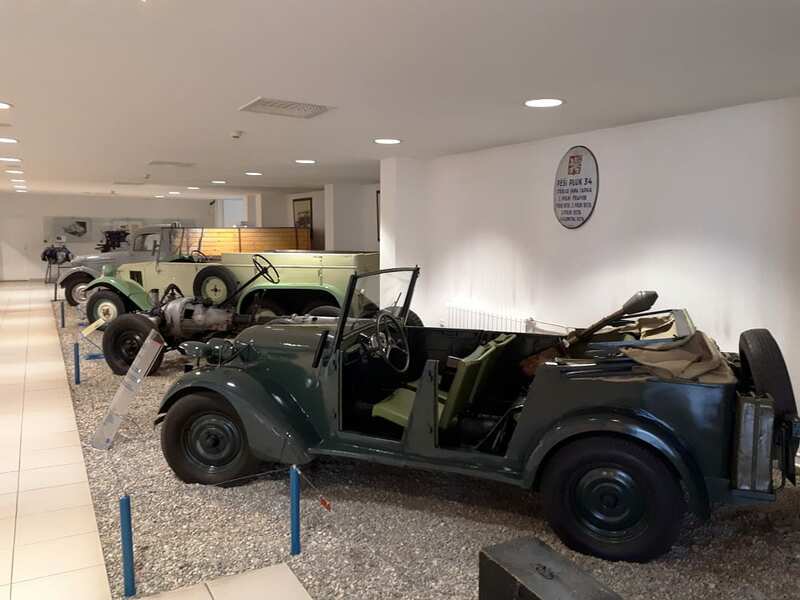 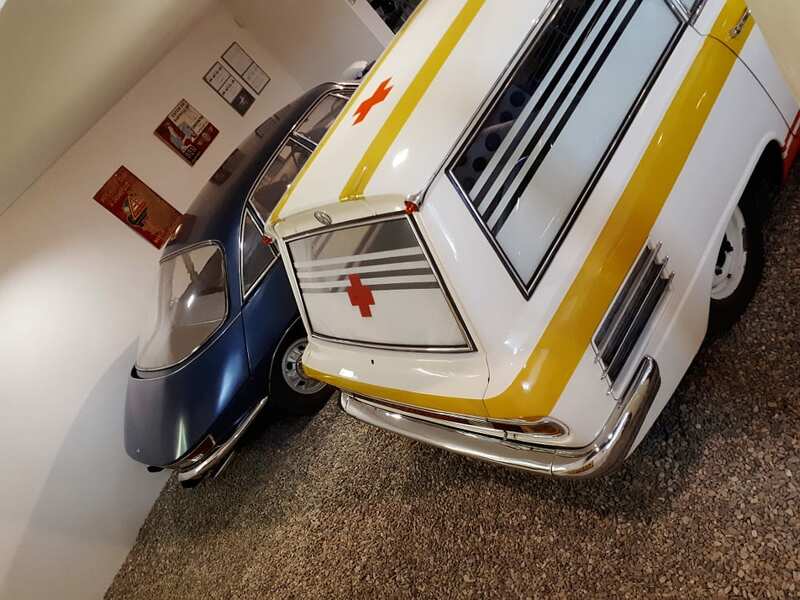 Today, a place that feels really rather sleepy and forgotten, it is home of the official Tatra museum and well worth a detour if you’re nearby, say in Krakow, Bratislava or Prague. 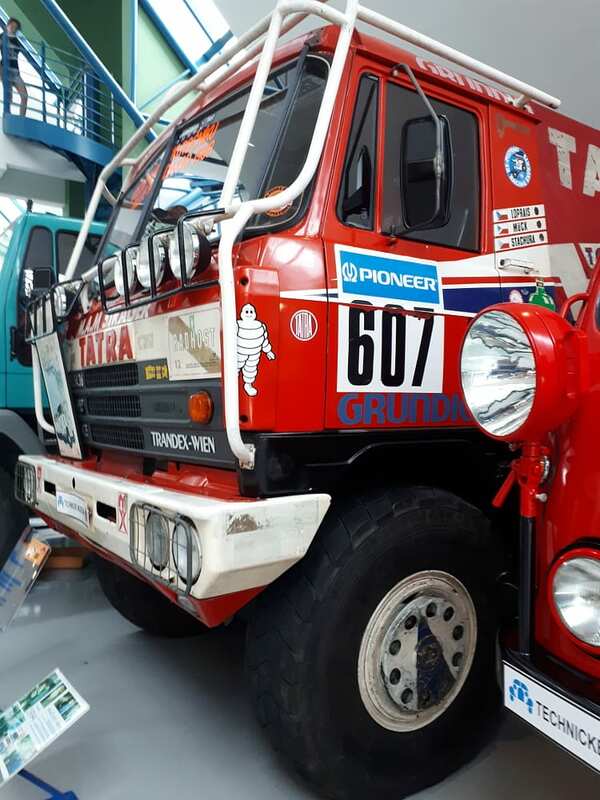 Continue here for a bite of Tatra history and a walk-around of this unique exhibition. 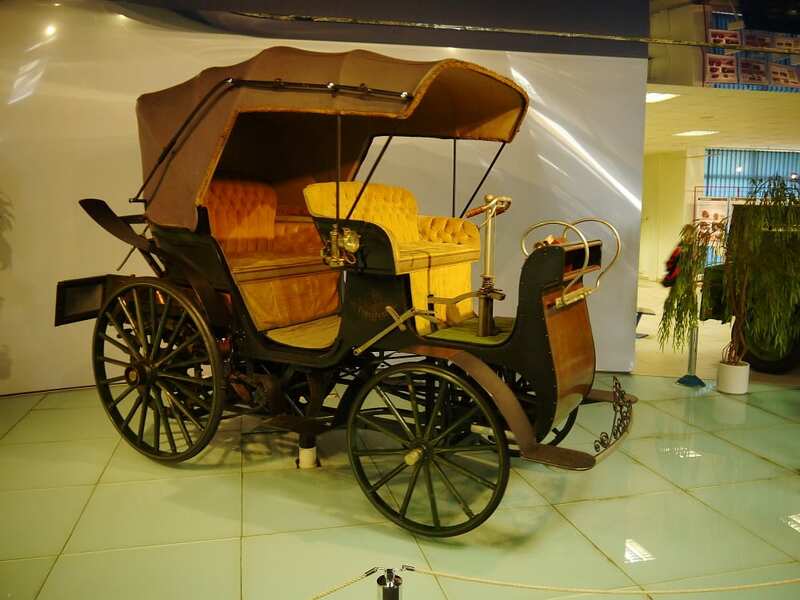 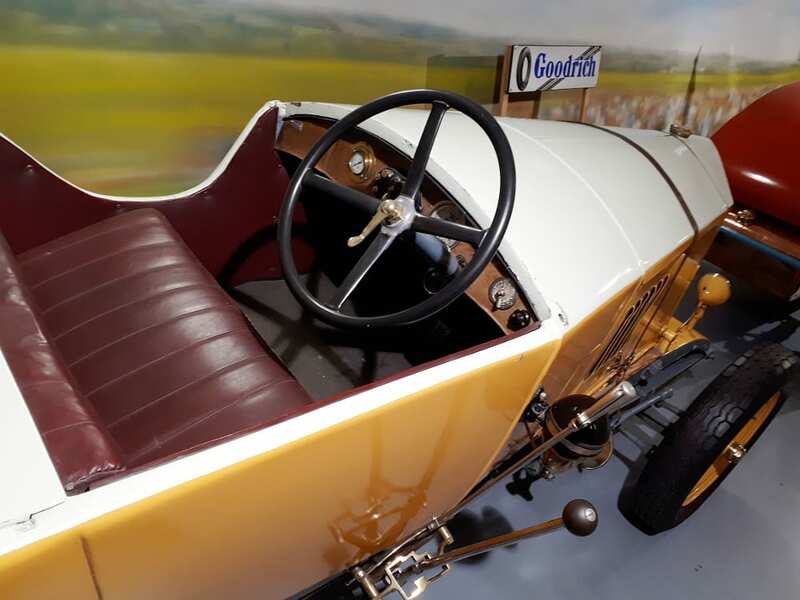 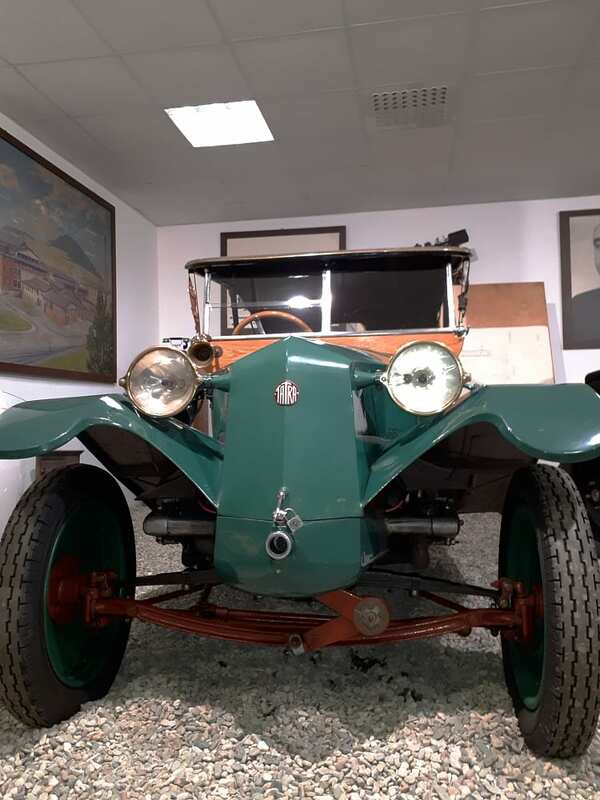 The Nesselsdorfer Wagenbau-Fabriksgesellschaft (NW) type T was a luxury car that in 1919 was re-branded as the Tatra 20, thus the first to carry the “Tatra” name as a brand name. 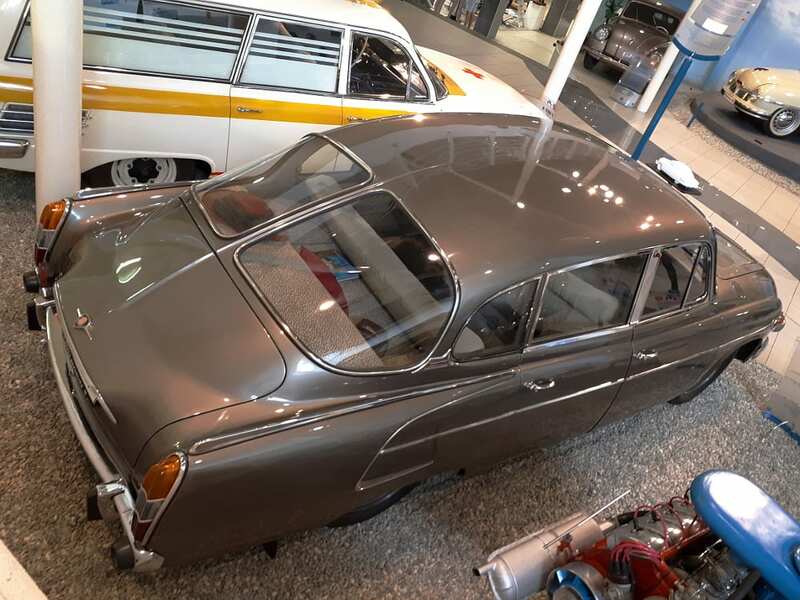 At the same time, the Tatra T70 was the presidential choice. 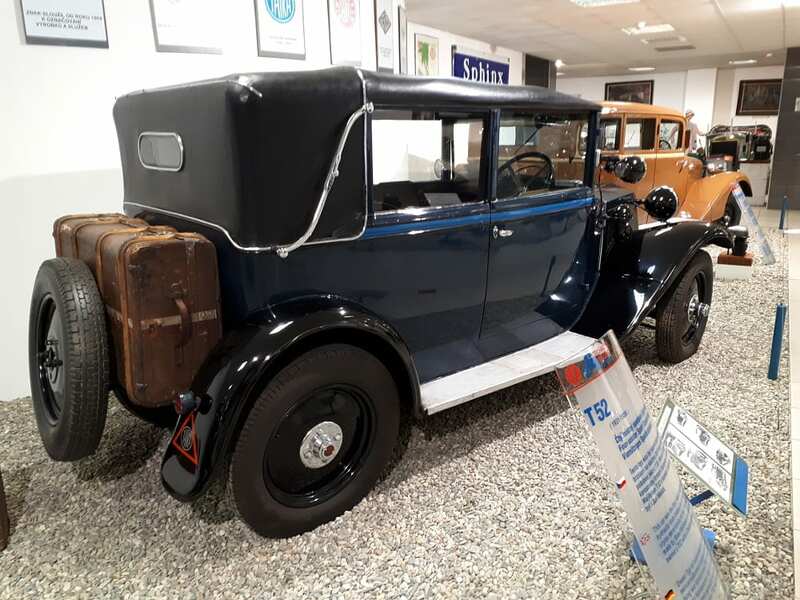 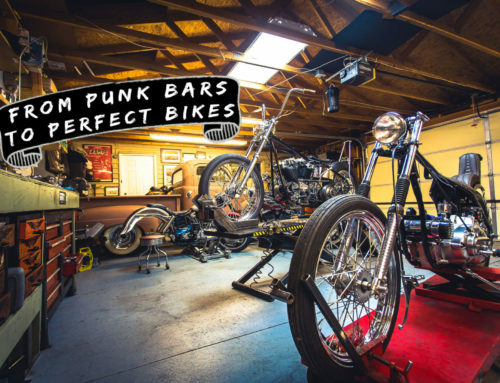 Gangster looks – its long, low and sleek profile – really make this one stand out. 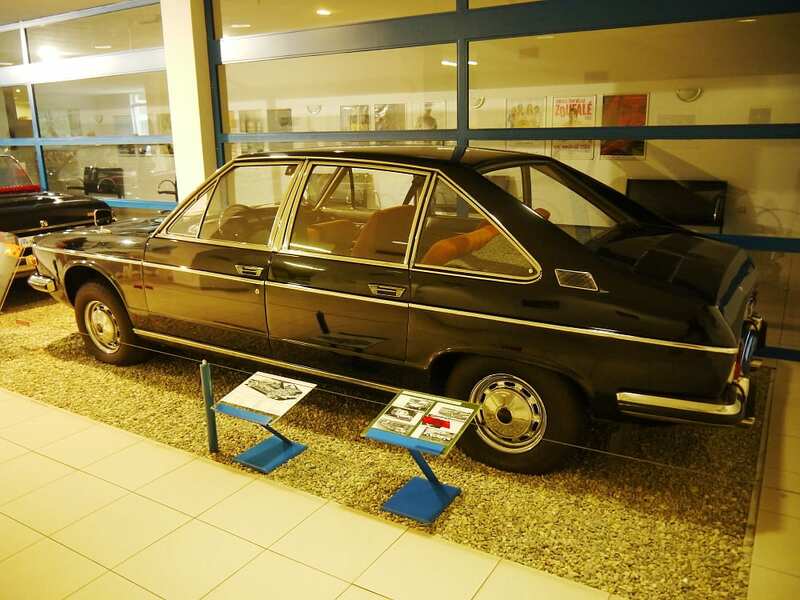 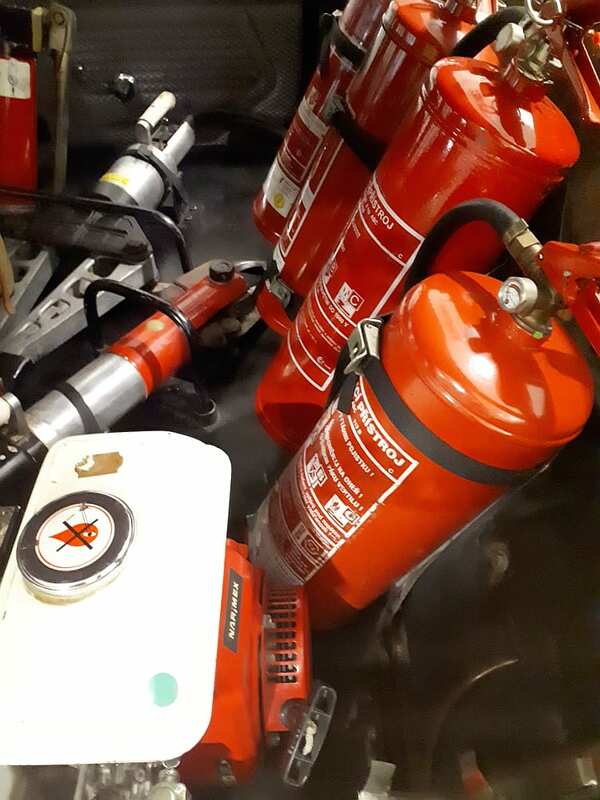 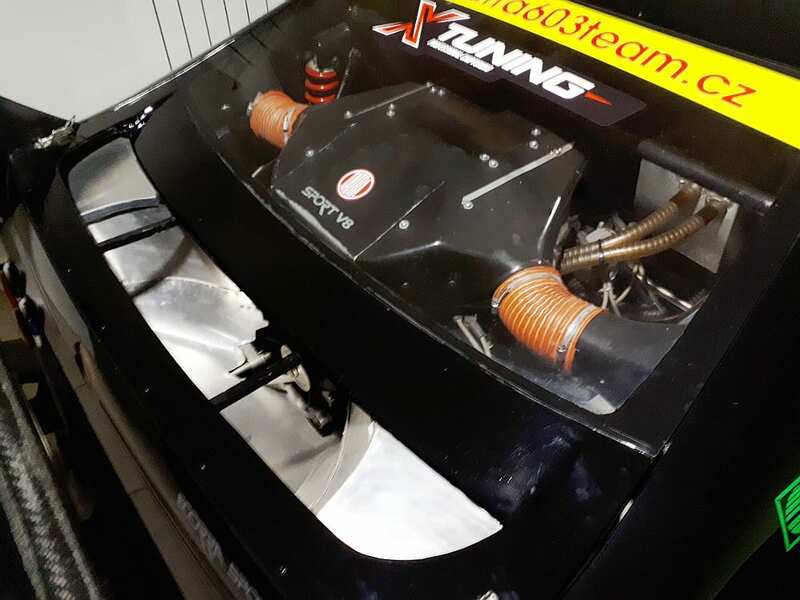 While the more modern looking, compact T80 of the same time came equipped with a V12, the T70 made do with a six-cylinder engine which produced about 65hp. 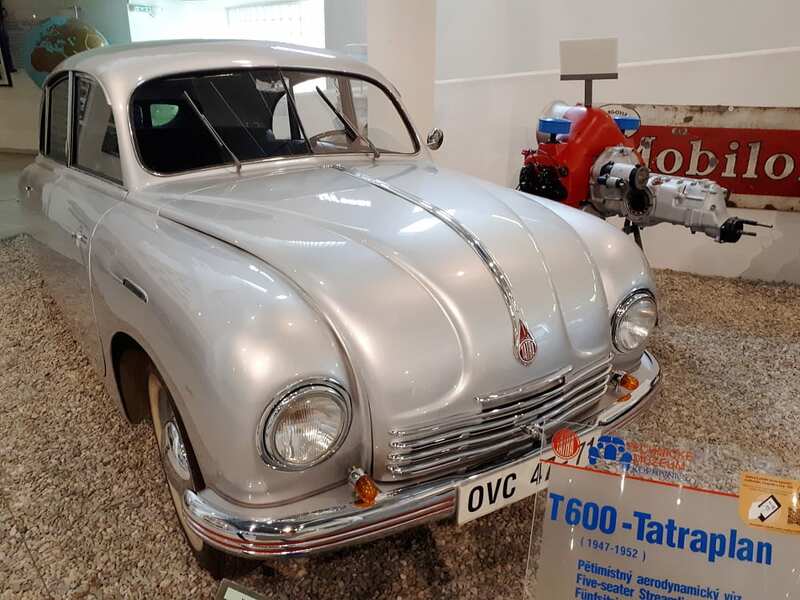 Double circuit hydraulic brakes were a first for Tatra. 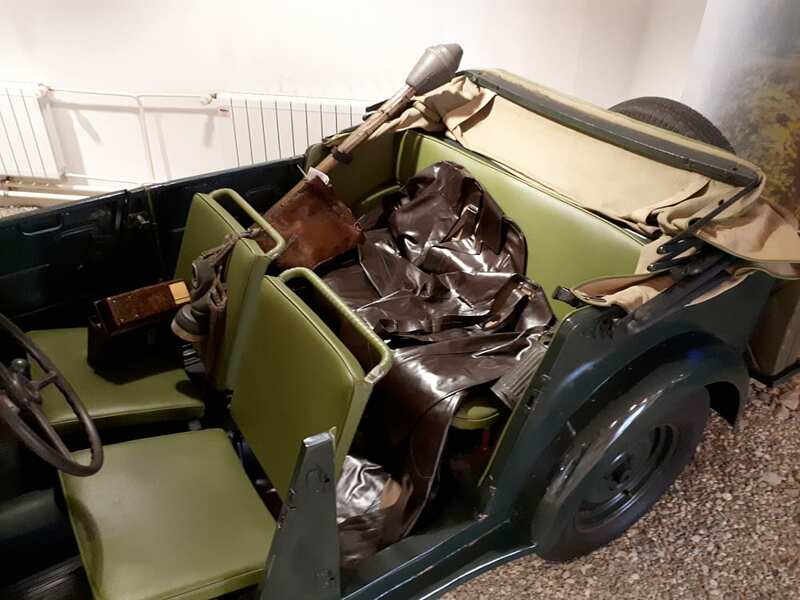 Only 120 cars were made of the T70 and T70A type, with one extra produced from spare parts right after WW2 to supply president Edvard Beneš with a fitting ride. 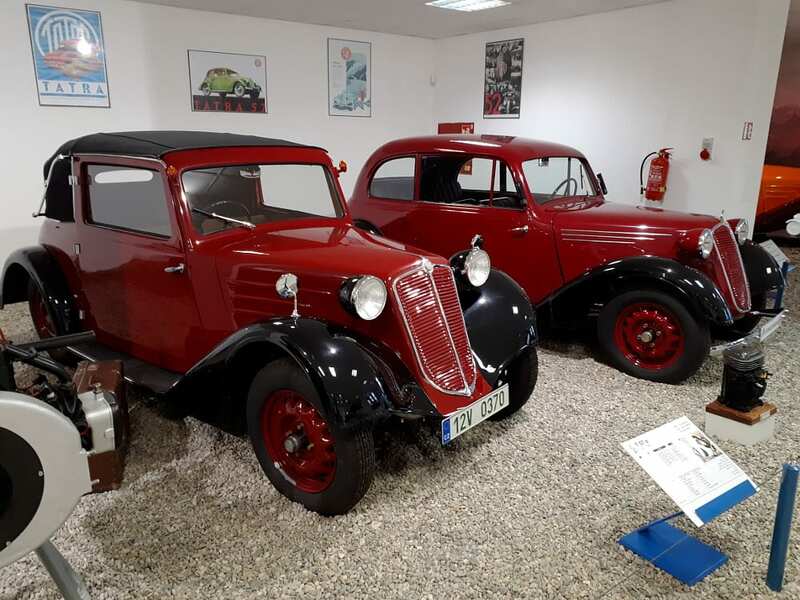 These Tatra 57A are an important evolutionary development of a popular prewar model, and one of the last few series of conventional front engine cars. 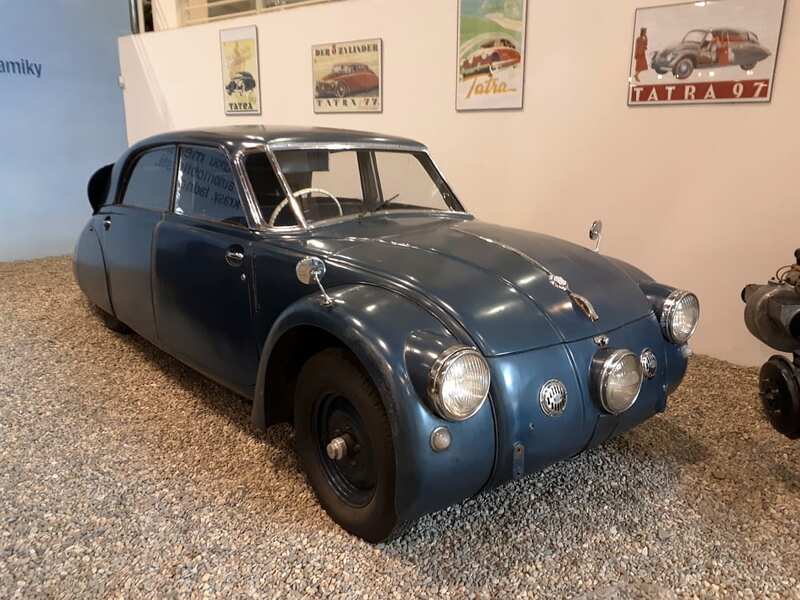 This is also the last truly mass produced series of compact Tatras, before turning into what was essentially a luxury carmaker. 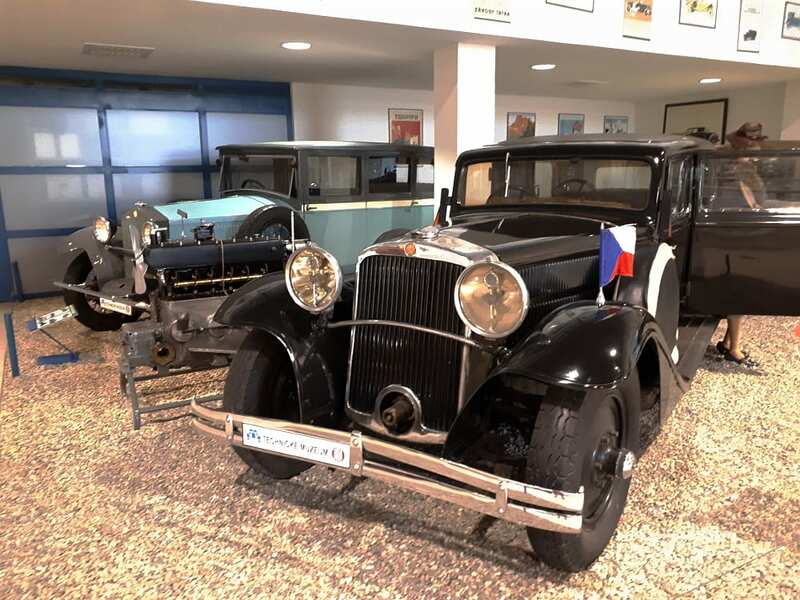 In 1933, the Tatra V570 prototype became the first step into a new direction. 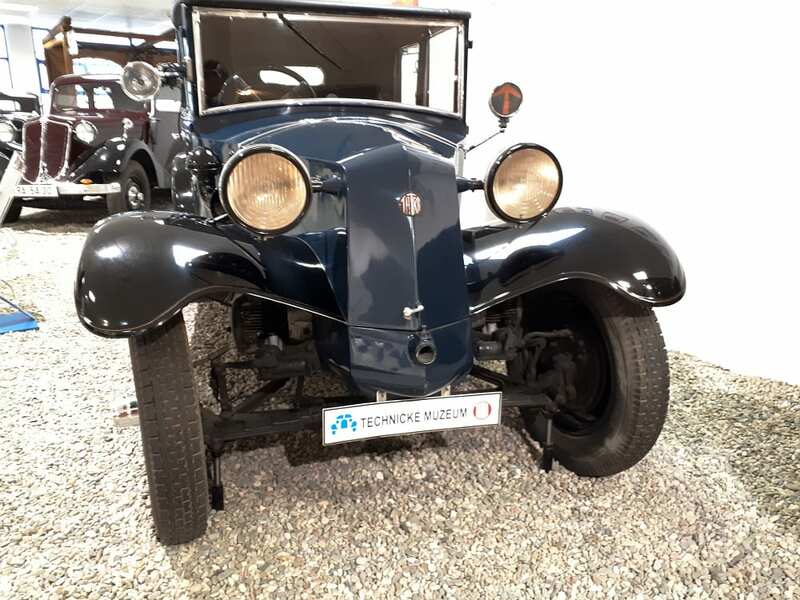 A completely new design language, chassis, rear engine and more, this is the prototype that Hitler declared to be “our car”. 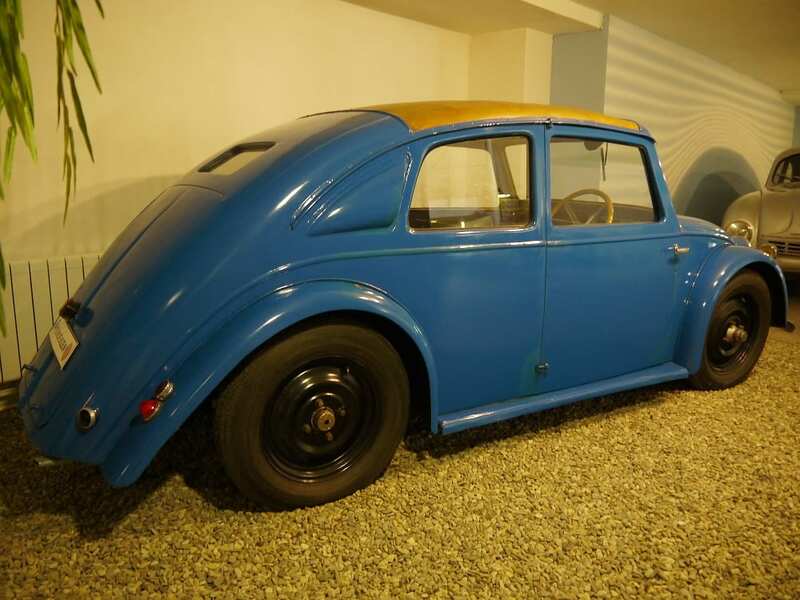 Early KdF-Wagen prototypes like the Porsche Typ 60, predecessor to the Beetle, are more or less copies of this design and its mechanics. 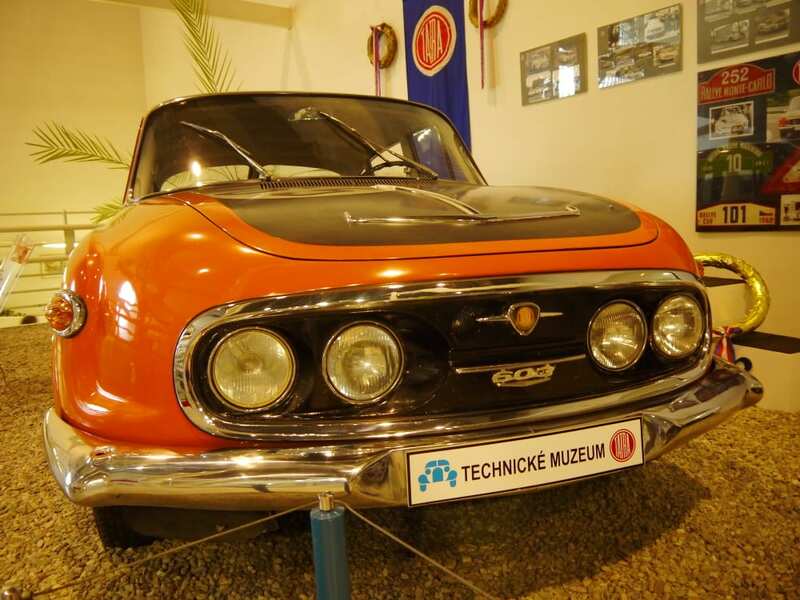 The brilliant engineer behind it, Hans Ledwinka, wasn’t around to profit from and get recognition through the 1 million Deutsche Mark paid in reparations from Porsche to Tatra in the 1960s. 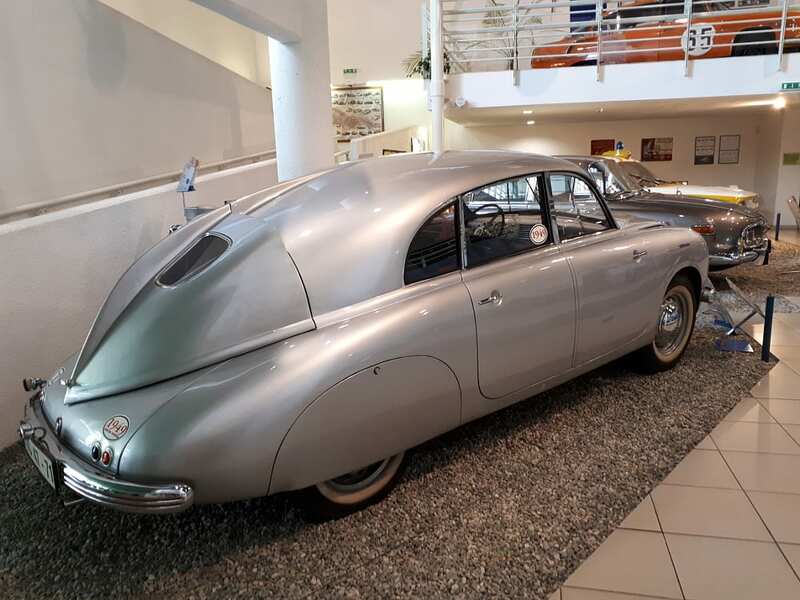 Tatra’s developing prowess became evident again when they, very shortly after the most devastating war in history, presented the 1947 T600 “Tatraplan”. 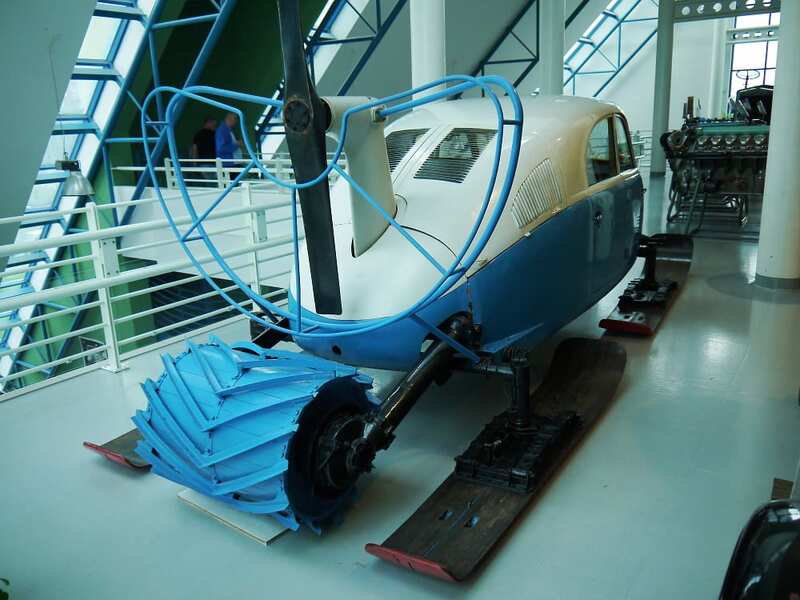 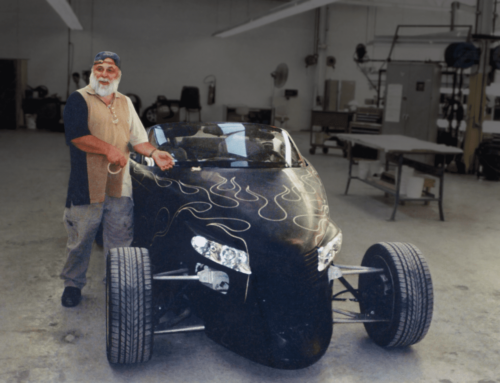 Nothing short of awe-inspiring, this was an aerodynamic luxury/sports vehicle inspired by plane design. 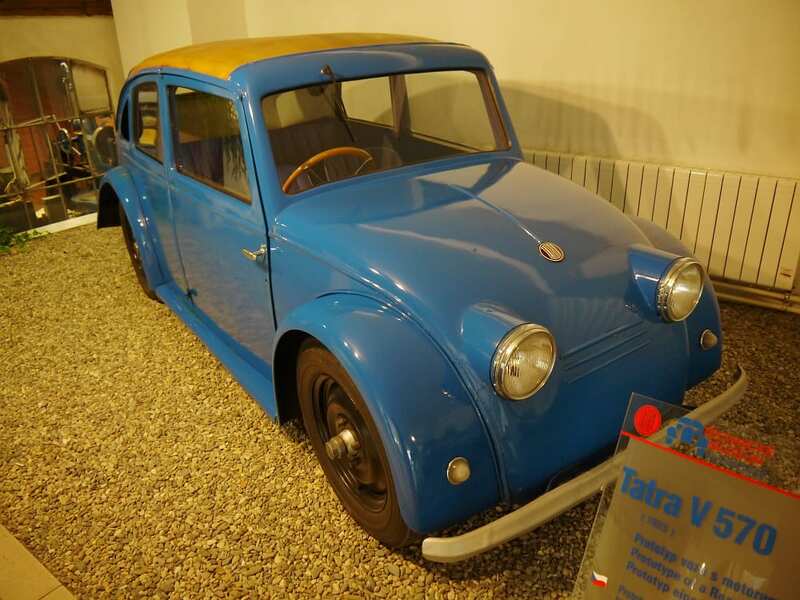 Seating six, with a two-litre inline-four and a drag coefficient of 0.32, over 6000 were made until production seized in 1952. 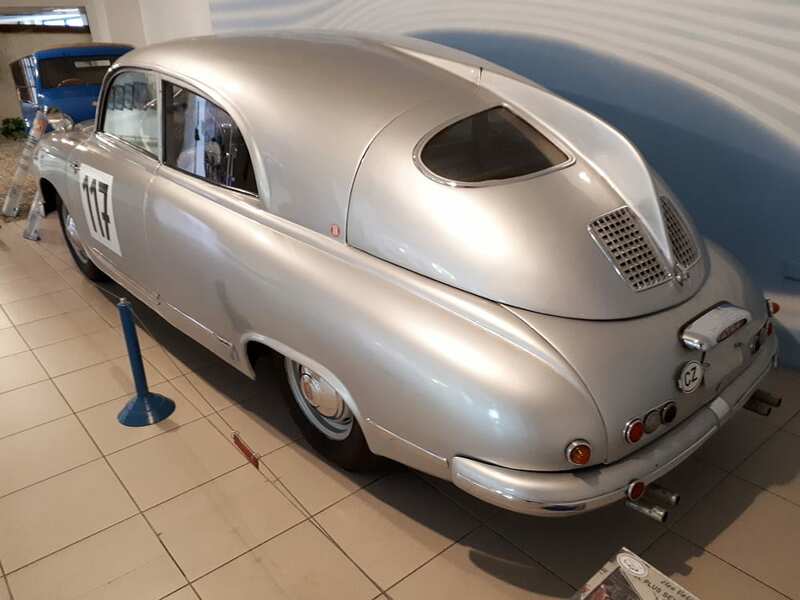 The 1949 two door T601 shown below was raced in Monte Carlo, cue the extra vents below the massive rear fin. 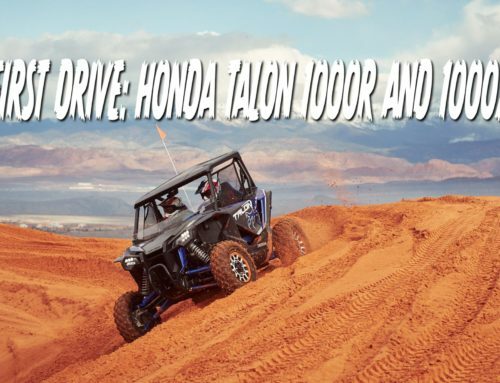 The T700-based Ecorra Sport V8 is a bucket full of crazy. 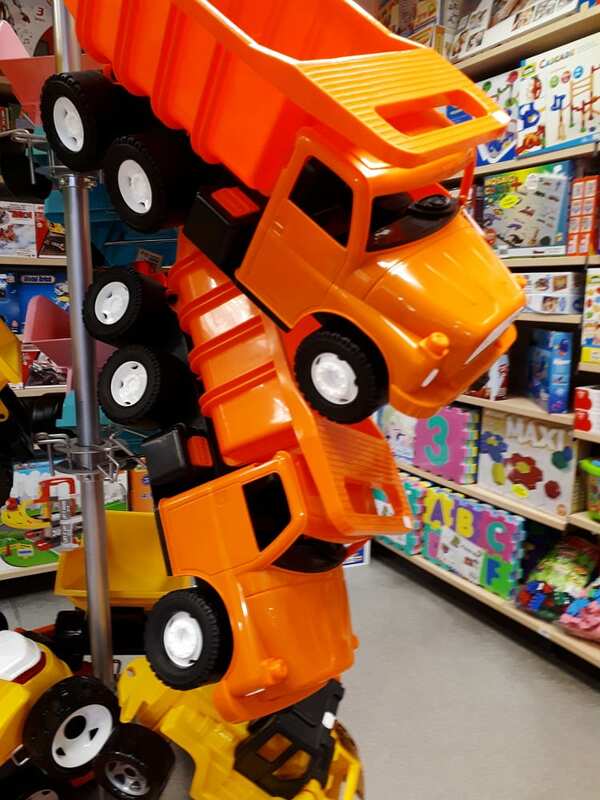 Unfortunately, it was parked in the darkest spot imaginable, constantly surrounded by kids smearing themselves all over it. 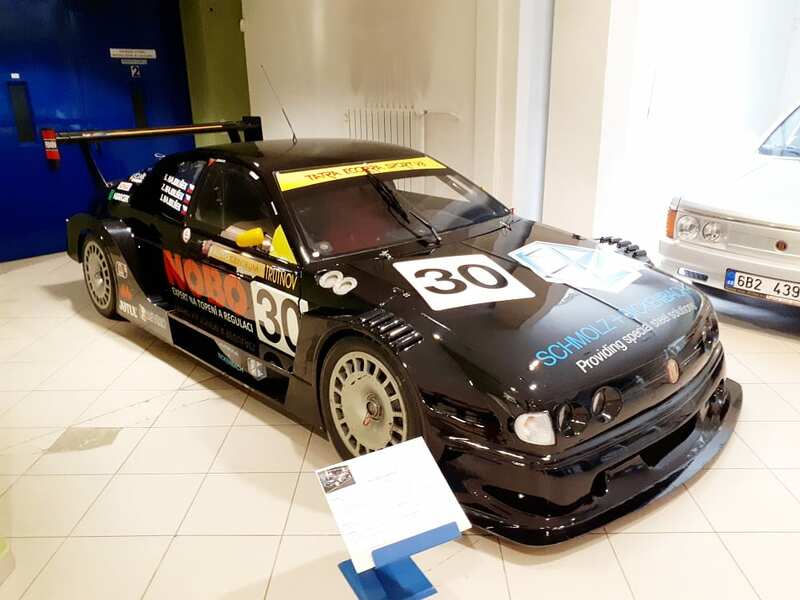 It was almost impossible to catch good photos of it, but basically it is a 1997 attempt at breaking the Czech speed record that ended up being a neat noise machine. 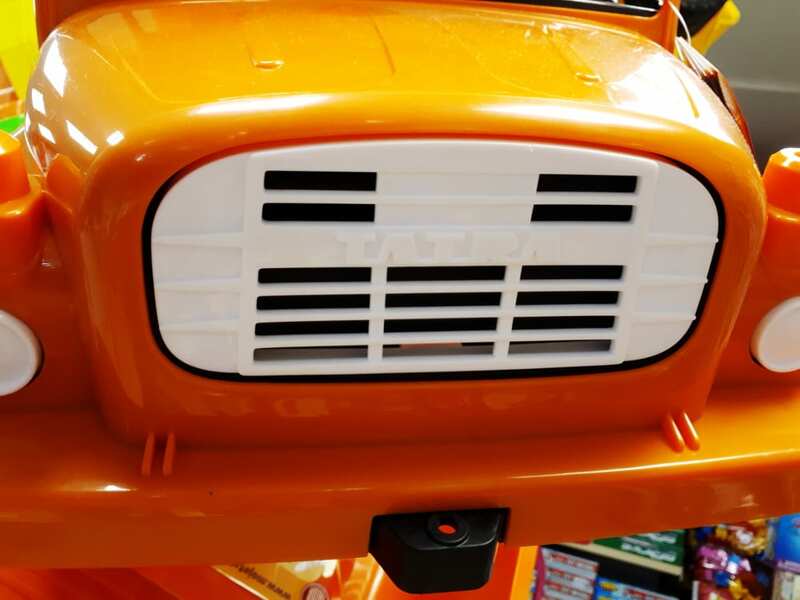 You want to watch this with the sound on. 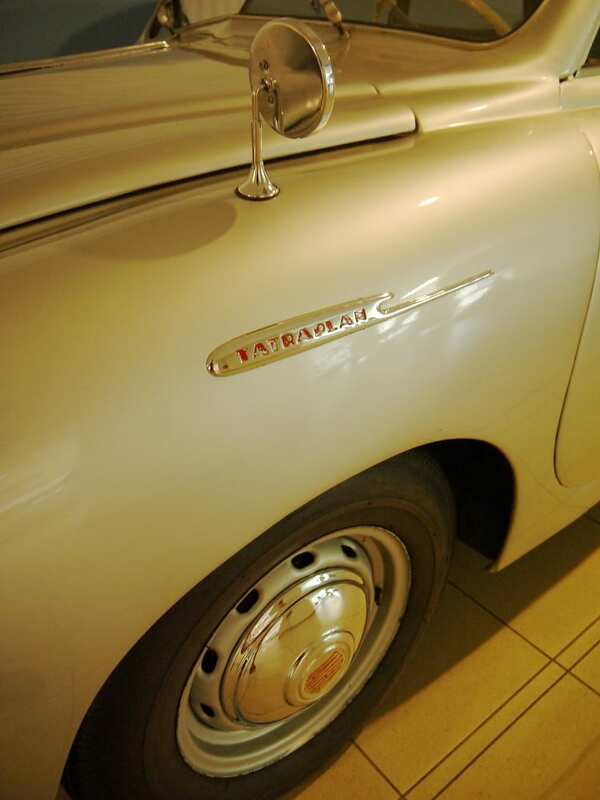 But the big, dark truth about all these cars is that Tatra after WW2 wasn’t really primarily a carmaker. 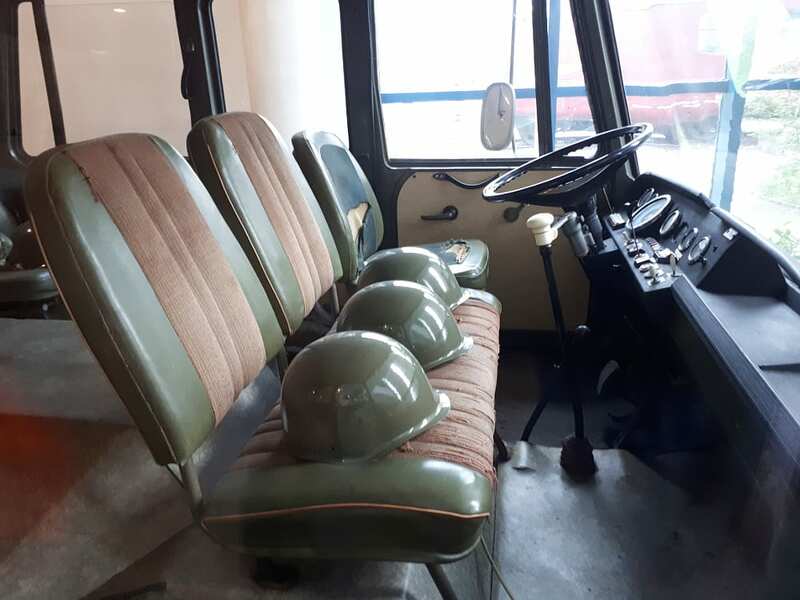 Their bread and butter were and are trucks. 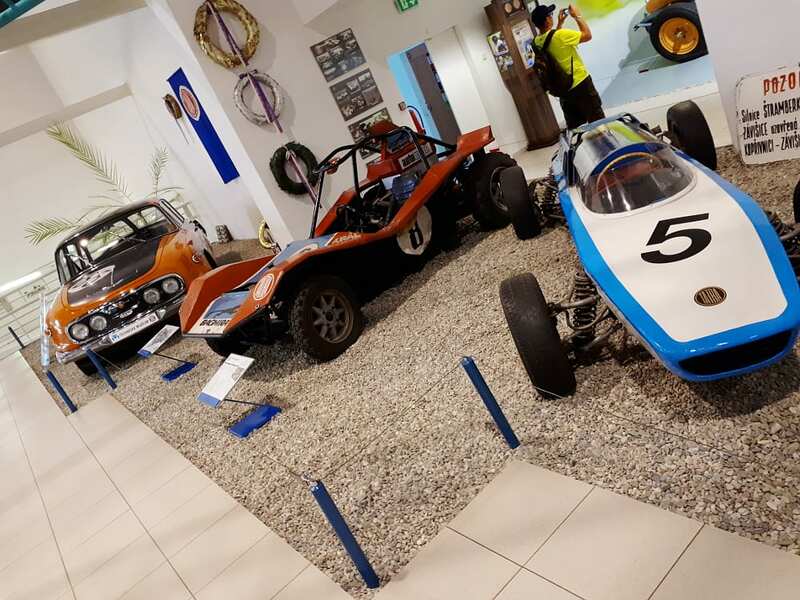 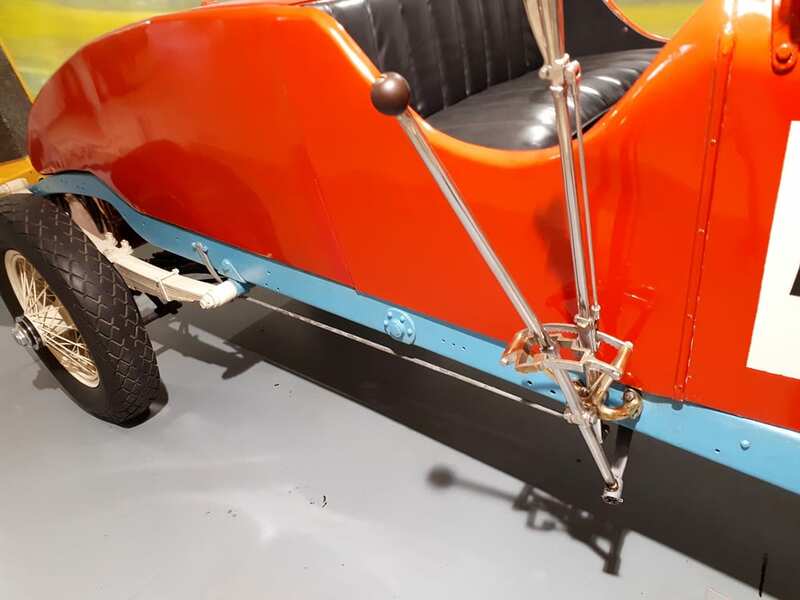 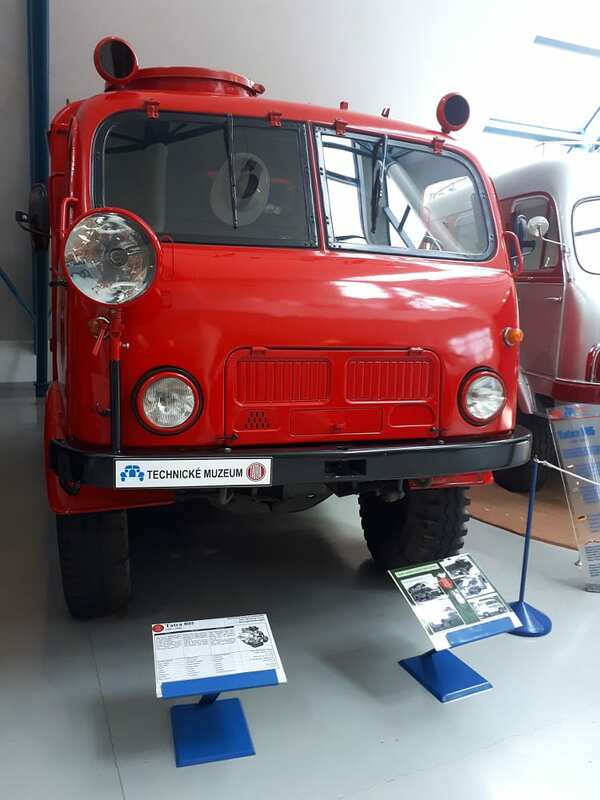 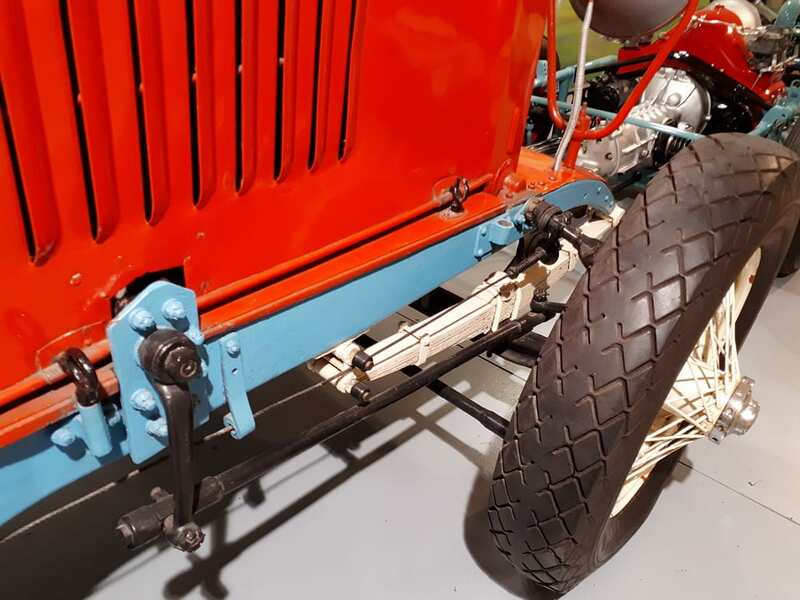 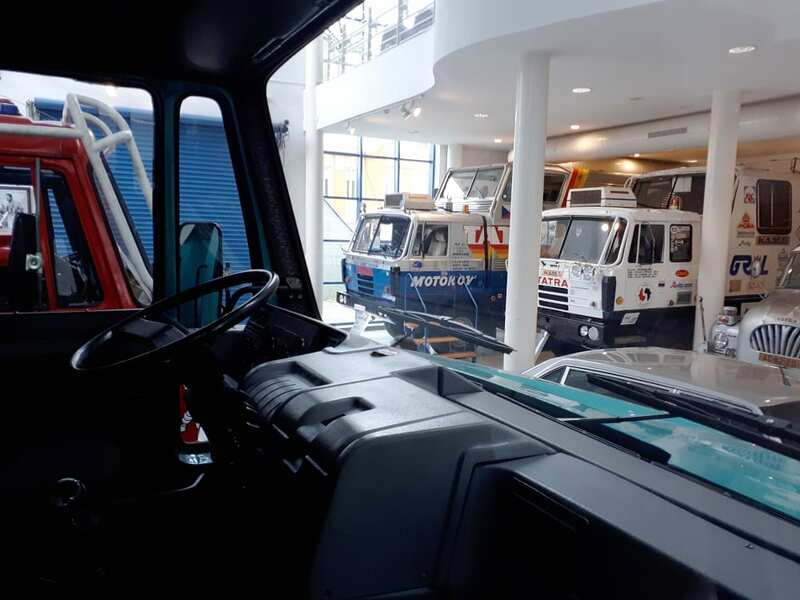 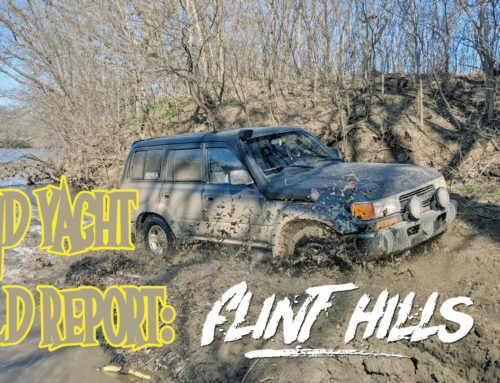 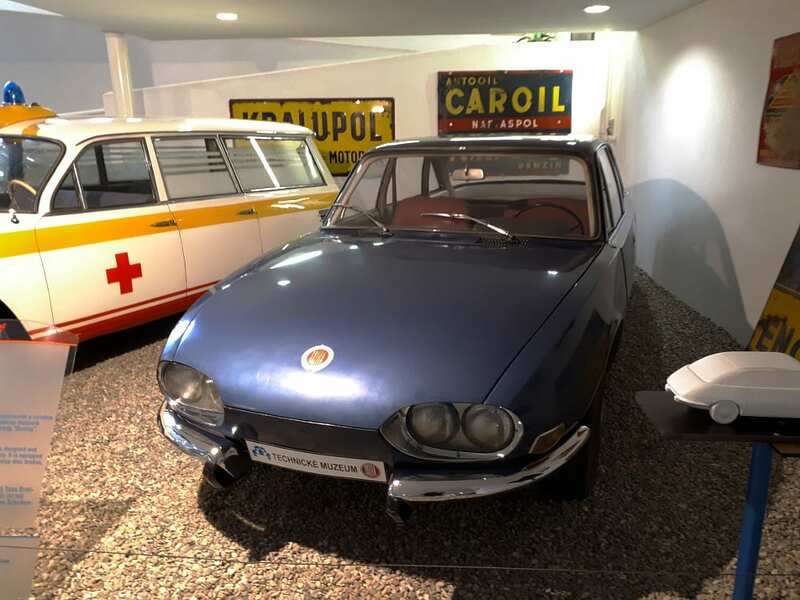 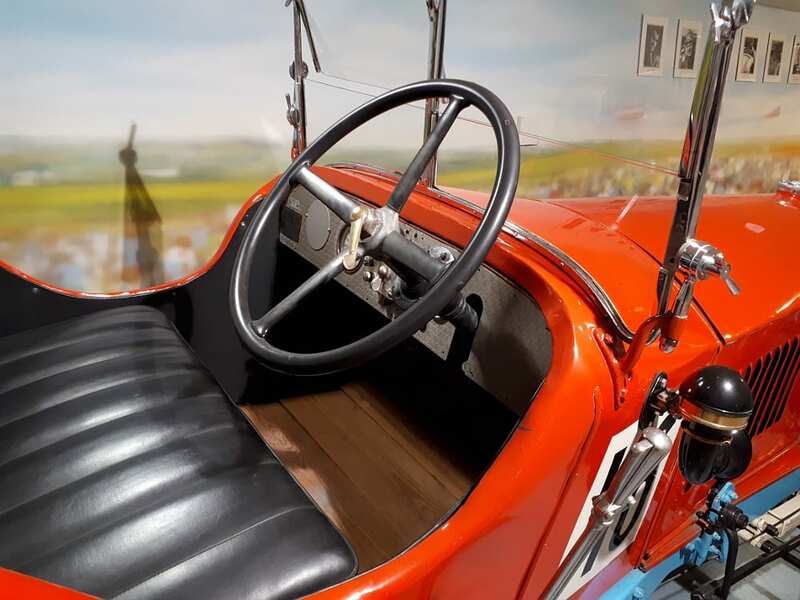 As such, the museum has set aside a fair bit of space for various commercial trucks, yet the emphasis is clearly on fun vehicles: Rallye and expedition trucks, special editions, wild engines. 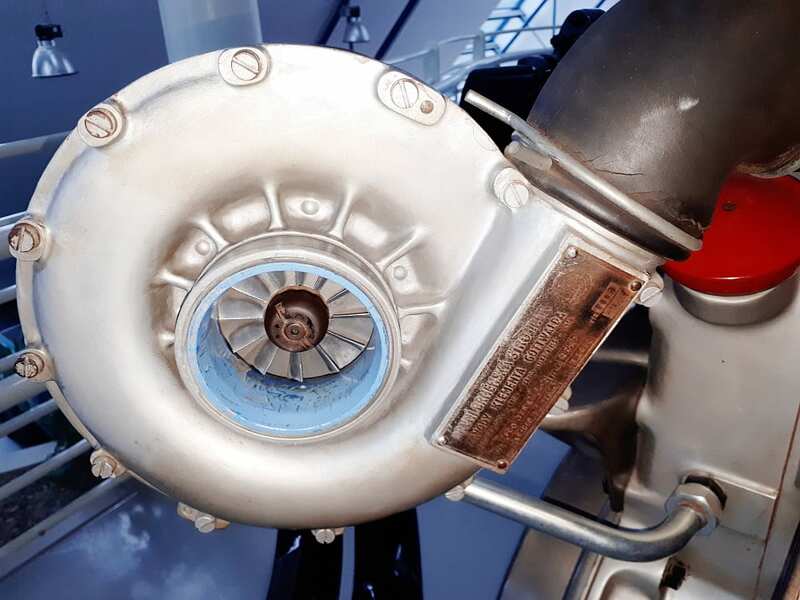 Let’s start with this adequately sized hairdryer, coupled to a V12 tram engine. 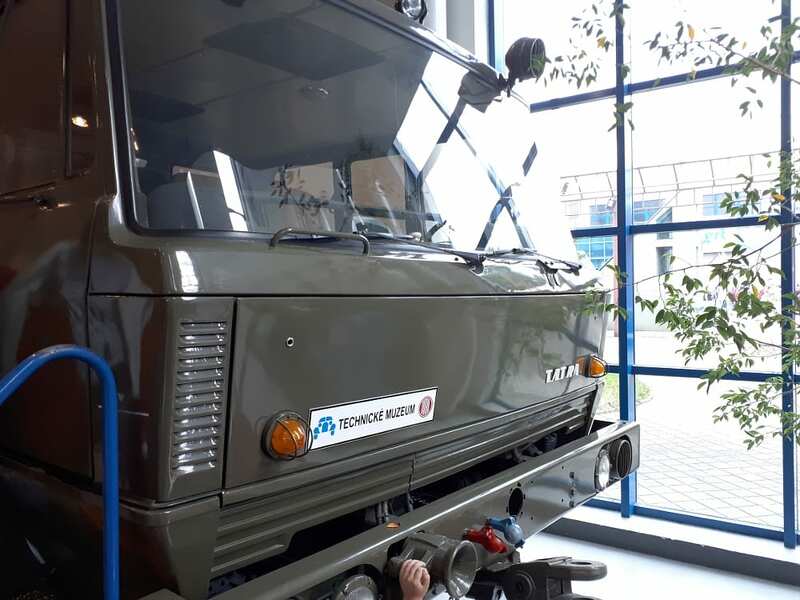 WHY NOT HAVE TURBOCHARGED V12 ENGINES IN SOCIALIST TRAMS? 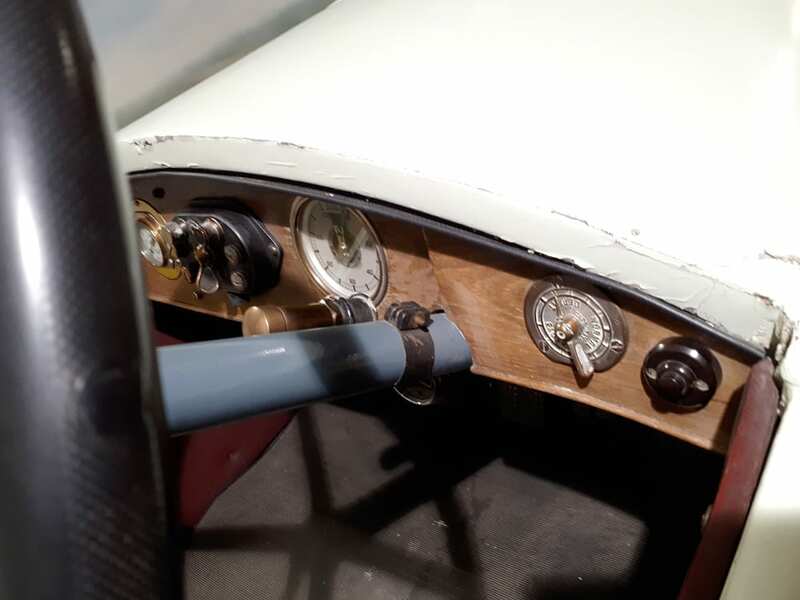 You guys are way too skeptical. 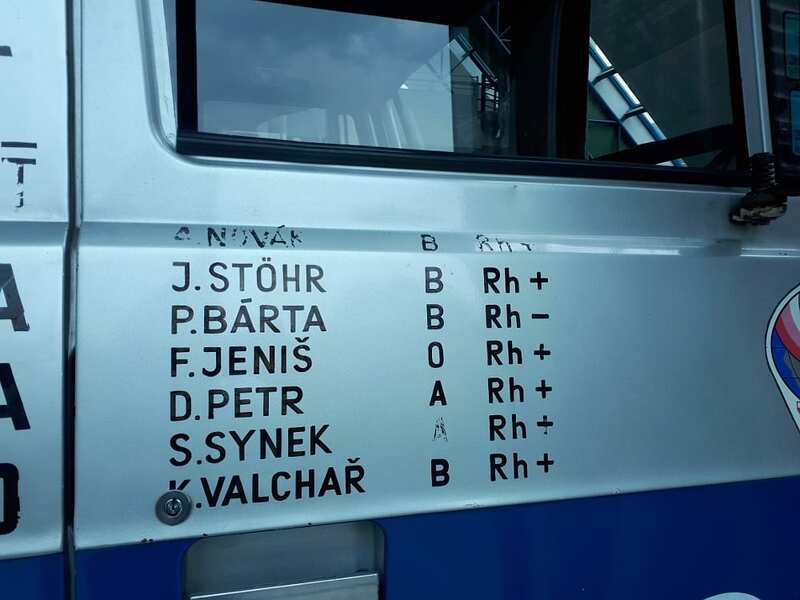 The V8 diesel powered Tatra 138 was a big success in its native Czechoslovakia. 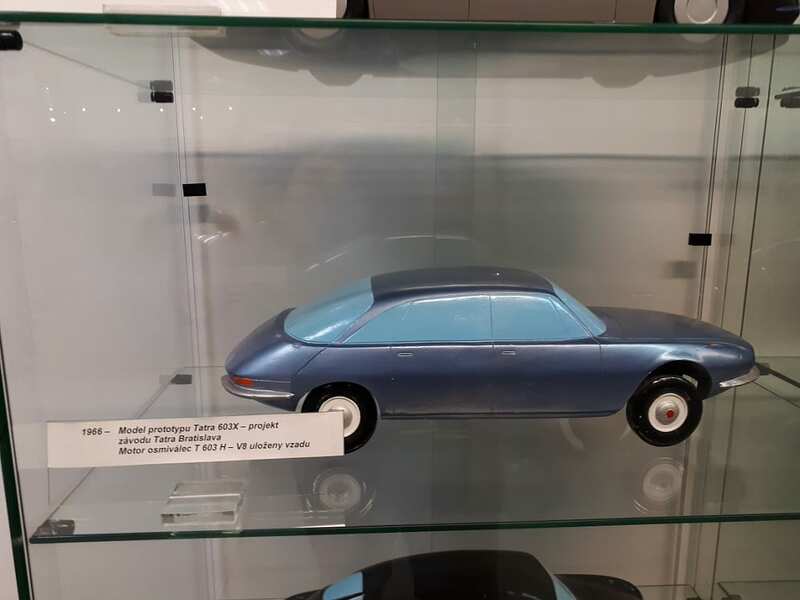 This particular specimen was part of a student expedition to Africa, but the design still carries enough recognition to be found in toy stores around the country.